Love this! they’re a hell of a lot easier to carve then pumpkins! These are amazing. 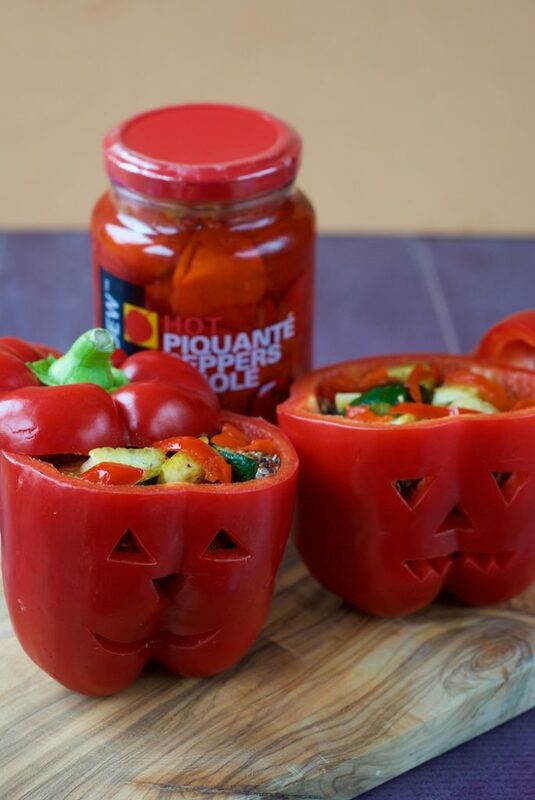 I really want to make these what a fab way to stuff peppers and the halloween theme is cool! I really want to do this. These are such a lot of fun! I just love the healthy alternatives to all the chocolate and sugar. Kids always like something new, colorful & obviously good look. If presentation is good than they like to eat easily. Your Halloween food idea is very cute. 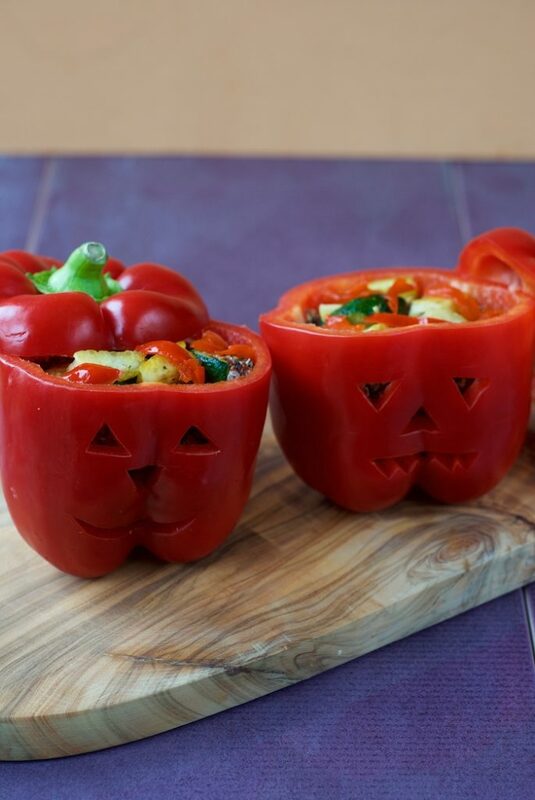 I really want to make this Halloween Stuffed peppers for my babies. 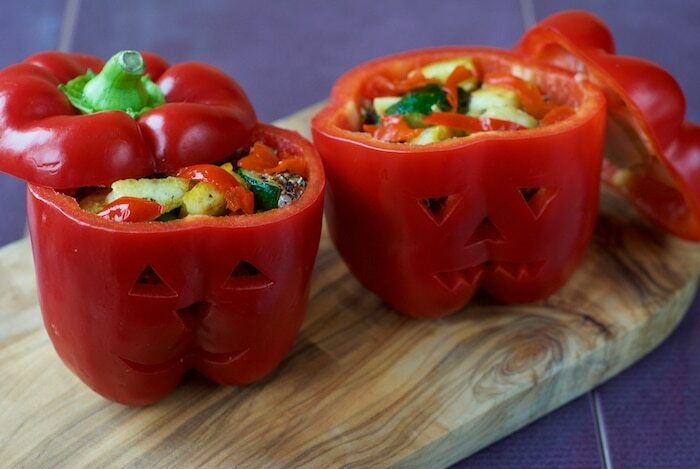 I love the idea of stuffing peppers for a Halloween themed dinner! My birthday is on Halloween and we usually carve pumpkins for it. We’re late stocking up this year though, so I hope Tesco still has some when we head over tonight! I plan on knocking up some pumpkin soup for the coming week though – our pumpkin insides won’t be going to waste! 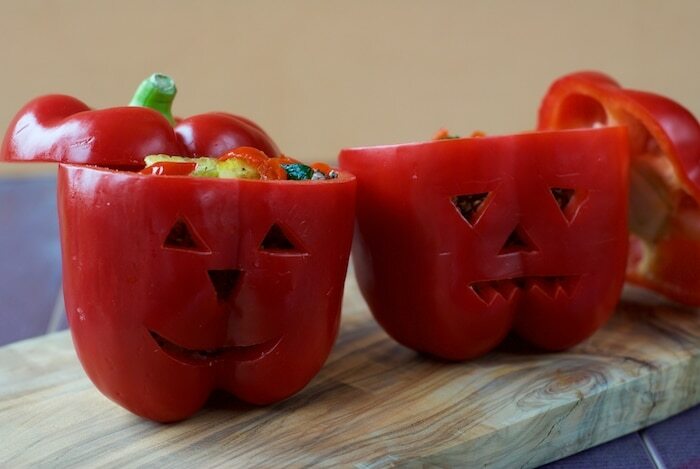 I made Halloween stuffed peppers similar to these last year. They are such fun and went down a treat!! Very cute and perfect Halloween food for the kids. Luckily they already love peppers and will have fun helping to carve them too. 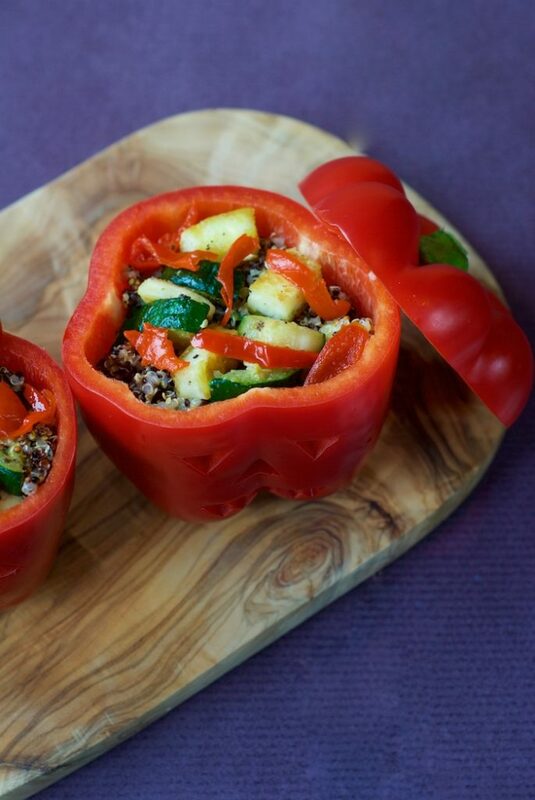 I’m not a fan of stuffed peppers but I like the idea of carving them out. Great idea for kids meals. 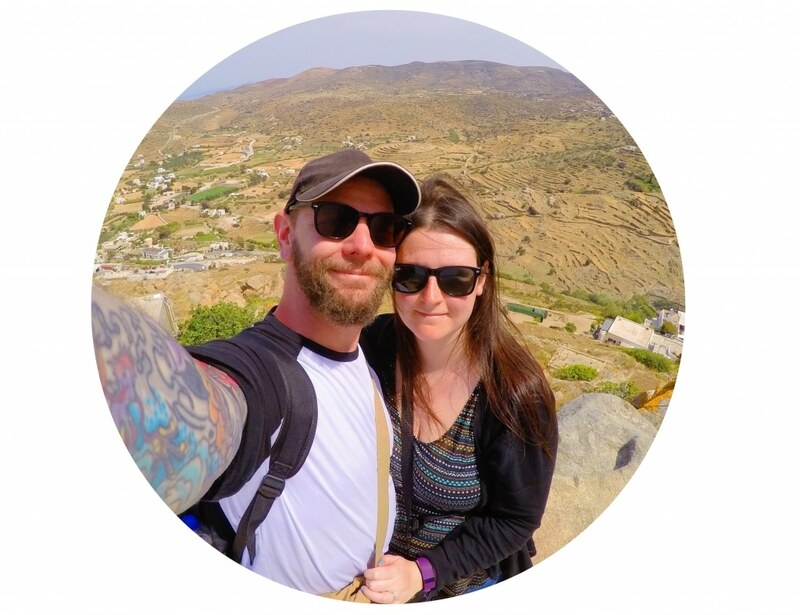 Haha – these are too cute. Carved peppers are SUCH a good idea. I don’t think we’ll buy a pumpkin by Halloween (and carving them is so time consuming), but I can definitely carve a pepper for my toddler. I haven’t carved a pumpkin since my daughter left for college – but you make me want to start again — at least on these cute stuffed peppers! Love it! Great recipe! Stuffed peppers are awesome. These are adorable, Dannii. 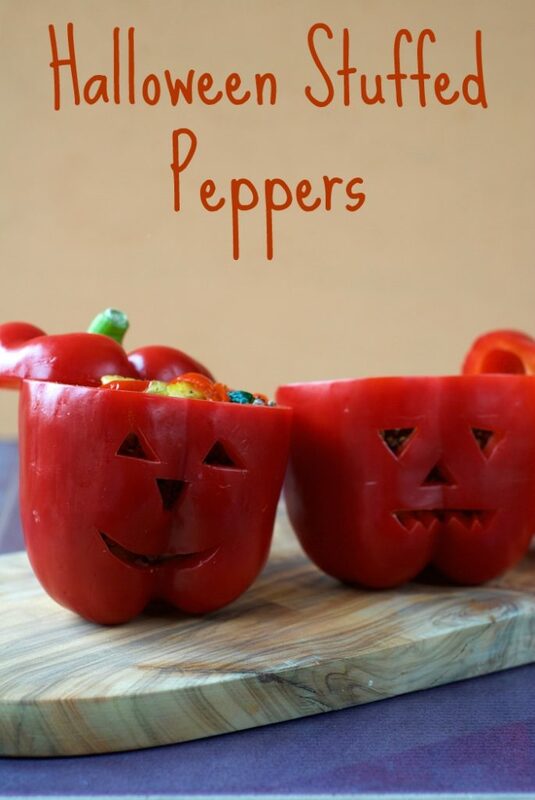 What a fun recipe idea for peppers!